In general, today’s computers are more energy efficient as compared with computer several years ago. Some companies, for example, TinyGreen PC (tinygreenpc.com), sells specifically designed system to consume less energy. Choosing computers based on their energy-saving certificate is certainly a wise move. However, based on the statistics, the effect on the environment caused by producing PC is bigger than using it, so shall we consider the green certificate of the producers when buying a new PC? If you care for the environment, you will definitely think that this is what you don’t have to think about, but it’s very important when considering how different the companies really are, about the damage they cause for the planet in producing and delivering goods. According to the Greenpeace organization, there is a difference in their impact in the environment, and of course, it’s a factor we need to consider when talking about choosing devices. In “Guide to Greener Electronics”, Greenpeace organization let us know that the evaluation criteria include problems such as company’s energy efficiency, energy efficiency of its products, using harmful substance in production, recycling policies and using material that can be recycled. The chart is presented on Greenpeace’s website, and while the scores are remarkably different, it’s interesting to realize that highest rated companies receive lower score than the maximum 10 points. The most interesting thing is that the rank of Greenpeace only includes 15 world-biggest electronic equipment manufacturers and beside computer, that list includes TV and mobile phone manufacturers. Unless you are planning to buy a “unique” PC, this instruction not only helps you to choose a producer based on its environmental certificate. Moreover, while the big companies in Greenpeace guide will produce more components in their PC, the similar thing is not true to all of the smaller manufacturers. Because these manufacturers buy components such as motherboard, hard disk drive, adapter and computer chassis from the far eastern producer, the differences among environmental effects of these smaller system assemblers won’t be as great as others. Truly, you can think more wisely than smaller local system assemblers rather than buy a branded computer which will be transported back and forth between the warehouse and the store. Supposed that you can only control things that can be measured, a monitoring tool which monitors your energy consumption is a useful one. The cheapest and most simple devices to monitor your energy consumption are plugged into the socket, while the device you want to monitor is plugged into the desktop. Your Energy consumption - immediate or accumulative - is displayed on the LCD screen. Energy Saving Power Meter of Energenie is only $21. A more comprehensive solution is provided by AlertMe. SmartEnergy kits ($75) contains SmartEnergy hub, which connect to 1 empty Ethernet port on router and wireless connectivity with energy monitors, and SmartMeter Reader, which is clamped into the plug-in cable of your power meter and communicate to hub to provide data about the total energy consumption of your house. Info displayed on independent SmartDisplay, which is also a part of the kits, or you can access the info by using mobile phone or website of AlertMe. You can also consider adding 1 or some SmartPlugs ($37.5), which also communicate to the hub and allow you to monitor the energy consumption of special devices such as printer. You can even move the SmartPlugs to see how much money you spend to supply all the devices which are set in standby mode. Watching how much it costs you to let your devices open unnecessarily will definitely give you a motivation to turn it off, but it’s easy to forget once newness is over. This is the place where a tool designed to turn off the devices automatically prove to be convenient. 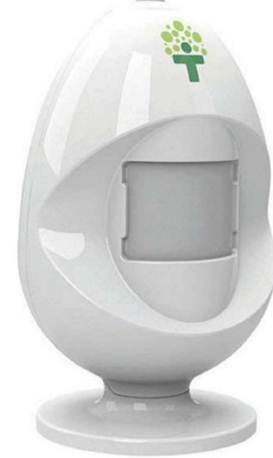 For example, Energy Egg ($60, energyegg.com) uses a motion detection to define if there is anyone in the room then turn off the electronic devices automatically. We rated Energy Egg at tinyurl.com/d7m326o. While this is a good idea for accessories such as printer speaker and external hard drives, we suggest not using Energy Egg with the computer. PC is always turned off by using the Start menu of Windows, and we hate to see you lose any jobs you haven’t finished. Bye Bye Standby Powerdown Strip ($30, byebyetstandby.com) is fairly different in which it only turns off 4 accessories after you turn off the PC. If you like to take control in turning off the technology, Conserve Switch ($22.5, belkin.com) of Belkin may be ideal. You just have to plug many accessories into the device, and it will turn them off, when you press a button on a remote control from 20m distance. It’s only about 1 minute to reopen it, and opposite to the rumors, specialists said that turning on and off won’t shorten its age. Energy consumed by accessories can increase quickly. If you have a laser printer, it can use 40W at standby mode. Even when the device’s battery is full, the charger will continue to use electricity from the socket. This process will continue whether you disconnect the device from the charger. PC can use a much more energy than you think, even when it’s off. Certainly, you won’t turn off your PC if you leave it there to drink coffee or answer phone calls, but the Power Options configuration of Windows turn it to the energy-saving mode throughout the inactive time. Several coins in addition for electricity bill every day seem not much, but it will accumulate little by little. There are remarkable savings if you have several PCs, each PC with many accessories. A cheap-price electric meter will notify you how much electricity your devices are using. Plug this device into one of these meters and it will provide you motivation to start saving. Consider investing in a device which automatically turns off the devices when they are discover to be inactive for a while. Energy Egg turns off the electronic devices when you leave the room.